Mark Geragos, the attorney representing Colin Kaepernick in a grievance against the NFL’s collective bargaining agreement, says he believes he will have definitive proof that NFL owners colluded to keep Kaepernick out of the league. 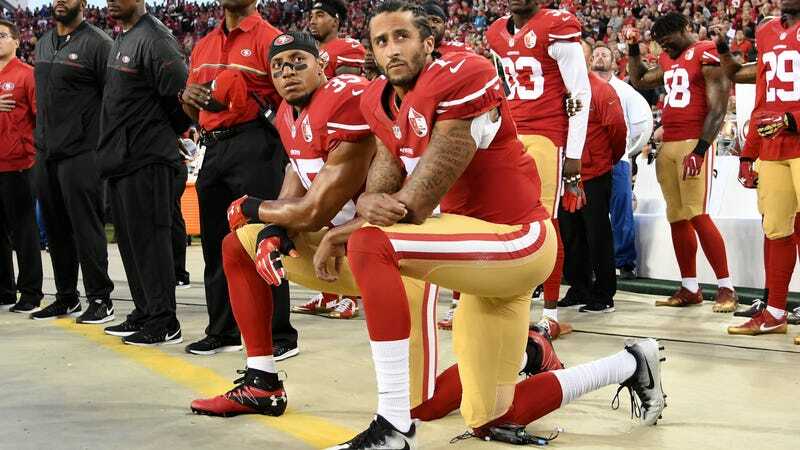 Kaepernick alleges that his continued unemployment stems from NFL owners secretly agreeing to keep him out of the league because of his protest against racial inequality and injustice during the playing of the national anthem before NFL games. Being shut out in such a way would violate the agreement NFL players’ collectively bargained on with the owners. However, instead of choosing to let the NFL’s Players Association represent him, Kaepernick has chosen celebrity attorney Geragos. The NFLPA has said that it will speak with Geragos to support Kaepernick’s full efforts. NFL players met Tuesday with owners to talk about the issues raised by the widespread demonstrations sparked by Kaepernick. After the meeting, owners and team officials agreed that no player will be fined or suspended for protesting during the pregame national anthem ceremony, which the NFL started in 2009 when the U.S. armed forces began paying teams for public displays of patriotism.